Please provide some details below regarding your enquiry and we will be in touch with you as soon as possible! When running or managing a business within manufacturing, keeping track of your working area and factory is vital to keeping a streamlined and efficient workflow. While processes come and go, and systems are changing constantly, regardless of technology or changes, one process which will always be needed is factory clearance. Processes within manufacturing brings waste, and with waste comes different types of materials and metals. 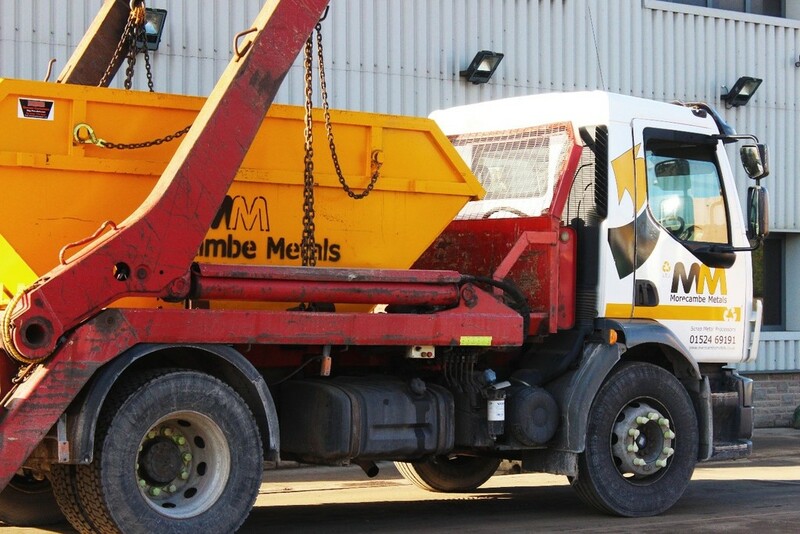 Whether it be large pieces of machinery which need disposing of or a specific material which you are unsure how to dispose of, the team at Morecambe Metals have the perfect solution – and plenty of benefits to go with it. If you are in the industry of manufacturing and have a factory, you may find the following worthwhile. There’s no doubt that you will have plenty of waste – manufacturing related businesses have high production costs and numerous types of waste including transport, inventory, motion, waiting, over-processing, overproduction, and defects. Your companies profit is your selling price minus your costs, so no matter how you think of it, the only way to improve your profits are to reduce your costs – including waste. This means removing all elements of waste from your processes or making money from the waste. Your duties within manufacturing is a part of general health and safety at work. Employers must provide and maintain a safe environment for all employees and visitors. Not only do you have a health and safety duty, but as environmental concerns continually occur within manufacturing, your responsibilities are even greater. Manufacturing companies from Jaguar to Land Rover and more pride themselves on being environmentally innovative, building their services and products for the future. Not only do you have to comply to legal responsibilities and environmental legislation, but you should strive to be future-focused. And the future is heading greener. Whether you run an automotive related manufacturing company, or you simply have vehicles which need disposing of, it can be a nuisance to have them taking up space in the factory or work area. Not only are they taking up space, but the chemicals still in them can be harmful, contaminating the water supply and food chain. Everything from the lead-acid battery to the oil filter can cause serious problems if not disposed of properly. Within manufacturing, you would reap great benefits by disposing of unused vehicles properly, getting them depolluted and deregistered. We know manufacturing brings metal waste, but are you really sure what metal is what and how to dispose of it? Can you recycle that particular type of metal? What about shredding? All these questions are common, don’t worry, and while you work in manufacturing, it isn’t rare to not be 100% sure on the answers. Our team are experts in ferrous and non-ferrous metals and know the exact approaches to recycle every type of metal. There are many benefits you can be a part of when recycling scrap metal. To begin with, the metal recycled goes back into industrial manufacturing. In fact, 25% of the steel used in production for car panels is obtained from recycled metals. You could be getting the metal back into your business which you have recycled – helping your business prospects and the environment. Your best interests are in recycling your metal. After all, it could mean that the materials are then sustainable – meaning your business will be ahead of the game, not to mention the energy you will save. Not only can you save money be receiving the metal back into your business through recycling, but you can receive a very competitive pricing structure for your valuable metal. Depending on what type of manufacturing you work in, you could gain some good returns from your otherwise unwanted metal. Ferrous metals are typically worth more than non-ferrous, so it can be worth getting to know your metals! When you also consider having to move the waste yourself, a factory clearance could be your most cost-effective option. You can read all the benefits of factory clearances in our previous article here. 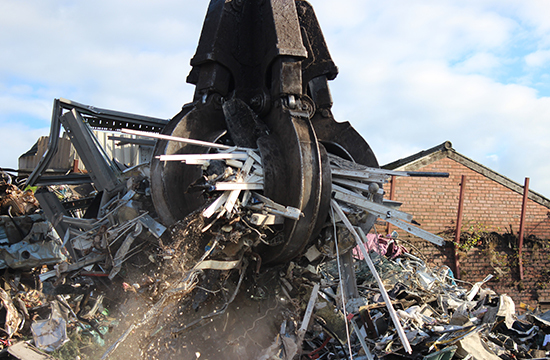 Morecambe Metals is fully licensed to dispose of any waste from your factory in a safe and effective manner. Any unwanted materials which you require removing from your premises is not an issue for us. 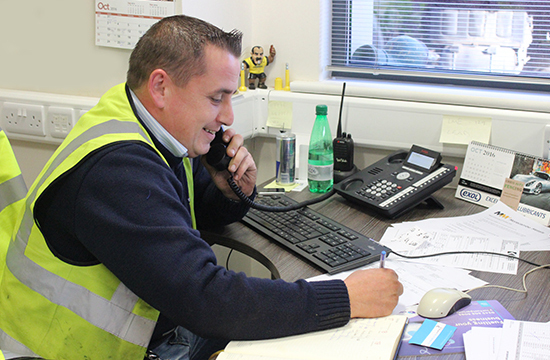 Our factory clearance team have 35 years of experience and put health and safety as a top priority – for our customers, employees, visitors and contractors.